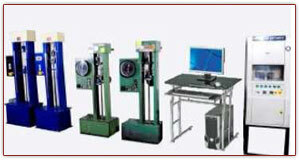 We have separate wing for Research and Development in our company. An experienced team of Engineers and Rubber Technologists are continuously engaged in improving the product quality and developing new items based on the feedback and the valuable suggessions of our esteemed customers. Our experienced team of Engineers and Rubber Technologists are available for on the spot assessment of the product performance and also ready with remedies and solutions. Customer satisfaction by improving the product quality & instant services is our motto.